Dr. Irving R. Epstein is the Henry F. Fischbach Professor of Chemistry and a member of the Volen Center for Complex Systems at Brandeis University, as well as a Professor of the Howard Hughes Medical Institute. He received his Masters degree in Chemistry and his PhD in Chemical Physics from Harvard University. Irving then completed a NATO Postdoctoral Fellowship in the Cavendish Laboratory at Cambridge University before joining the faculty at Brandeis. Irving has received a number of honors and awards during his career, including a Guggenheim Fellowship and the Grass Fellowship of the Radcliffe Institute at Harvard University. Irving is here with us today to tell us about his journey through life and science. Irving has served at Brandeis University as Dean of Arts and Sciences from 1992 to 1994, as Provost and Senior Vice President for Academic Affairs from 1994 to 2001, and he is currently Senior Advisor to the Provost and Senior Research Officer. He received his A.B., M.A. and Ph.D. degrees from Harvard University in 1966, 1968 and 1971, respectively, carrying out his doctoral work in Chemical Physics under the direction of William N. Lipscomb. He received a Diploma in Advanced Mathematics as a Marshall Scholar at Oxford University in 1967 and was a NATO Postdoctoral Fellow at Cambridge University in 1971. He has been awarded Guggenheim and Humboldt Fellowships and was a Dreyfus Foundation Teacher-Scholar. In 2006, he was named a Howard Hughes Medical Institute Professor. 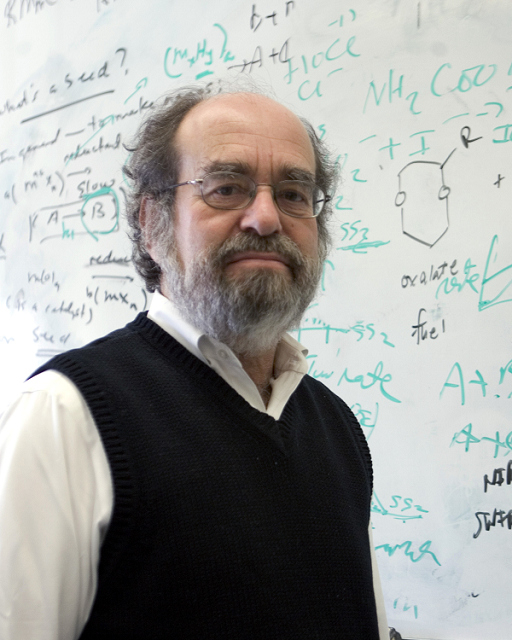 Irving chaired the first Gordon Research Conference on Chemical Oscillations and Dynamic Instabilities and currently serves on the editorial boards of Chaos and the Journal of Systems Chemistry and on the boards of directors of the New England Complex Systems Institute and the Mathematical Biosciences Institute. He is a Fellow of the Massachusetts Academy of Sciences. His current research interests are in nonlinear chemical dynamics, particularly pattern formation, oscillating reactions, chaos and the behavior of complex networks.